The Inglis phone system is experiencing some technical difficulties. We are working on the issue and hope to have the system up shortly. when you call Inglis, it just rings without anyone picking up or going to voicemail. 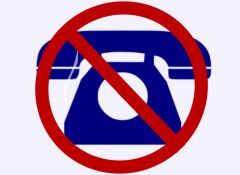 Our toll-free line is also not working at the moment. Inglis is operating normally and all other systems are working fine. The phone company and the system technicians are working on the problem and hope to have the system back online shortly.